While at a the Evangelical Theological Society’s annual conference last week, I was really challenged by some closing words by Dr. Miroslav Volf of Yale Divinity School that I’d like to share with you as we prepare for our Thanksgiving Day Service tomorrow and our weekly feeding on the Bread of Life this Lord’s Day. The greatest temptation [of the Church today] is that man lives by bread alone while treating God as a mere bread provider. When we live by bread alone, someone goes hungry. When we live by bread alone, the after taste is always bitter. But the bitterness is not from the bread, but by our own living by bread alone. Before we enjoy our meals tomorrow, may we remember where we got them and go to glorify God and thank Jesus like the only of ten healed lepers did in Luke 17:12-19. And may we find there in thankful worship that Jesus will say to us what He said to the thankful worshipper: thy faith hath made thee whole. And may we remember that when Jesus quoted Deuteronomy 8:3 against the Devil in Matthew 4:4, He hadn’t eaten for forty days and forty nights so that He could pass the test of temptation and remain righteous on our behalf. As we looked at the preface to the Ten Commandments last Lord’s Day, we were reminded that Jesus says the whole Moral Law hangs upon two commandments (Deut. 6:5 and Lev. 19:18 per Matt. 22:37-40), which can be summed up in one word toward God and man: love. And love is not a feeling, but an attitude expressed in action. I just learned that the only disability is a bad attitude. Mr. Hamilton made this comment in a video interview that Elder Renner brought to my attention recently, in which Mr. Hamilton shared about all the extremely difficult providences he went through all his life. His resolve to accept it all from Christ’s hand with their purpose of special blessings is something we must all emulate. You can watch the video here. Notice that the name of the video series is, “I Am Second”; that perspective of reality is the key to a happy life. As we have often noted, it is actually more accurate to say, “I Am Third.” For true J.O.Y. comes by truly making Jesus first, Others second, and You third. This acronym, it seems to me, is not only the way to a fulfilled soul, but a good way to sum up the Ten Commandments in love. And tomorrow night, 1 Corinthians 13:4-8a will make it clear that love is primarily self-denial so as to lift up others for Christ’s sake. If you’re not accountable for your life, that means ultimately that your life doesn’t count. Tomorrow we will be reminded that, “hitherto hath the Lord helped us” (1 Sam 7:12) and that this is always the case. God has “proved” the Israelites again and again to have them trained and ready for his service and their survival. The names of Moses’ sons is important to see our sojourning for Christ is also our sustenance in Christ. His first son’s name means “Sojourner”, and his second son’s name means, “God is my help.” And God shows Moses again that He is his help through the earthly sojourn by providing him new helpers (elders) to rule over God’s people before He gives them His rules. God is always thinking ahead for us. And He is always preparing us. And He is always preparing the way for us. He is our helper! Believer, look back through all thine experience, and think of the way whereby the Lord thy God has led thee in the wilderness, and how He hath fed and clothed thee every day – how He hath borne with thine ill manners – how He hath put up with all thy murmurings, and all thy longings after the flesh-pots of Egypt-how He has opened the rock to supply thee, and fed thee with manna that came down from heaven. Think of how His grace has been sufficient for thee in all thy troubles-how His blood has been a pardon to thee in all thy sins-how His rod and His staff have comforted thee. When thou hadst thus looked back upon the love of the Lord, then let faith survey His love in the future, for remember that Christ’s covenant and blood have something more in them than the past. He who has loved thee and pardoned thee, shall never cease to love and pardon. He is Alpha, and He shall be Omega also: He is first, and He shall be last. Therefore, bethink thee, when thou shalt pass through the valley of the shadow of death, thou needest fear no evil, for He is with thee. When thou shalt stand in the cold floods of Jordan, thou needest not fear, for death cannot separate thee from His love; and when thou shalt come into the mysteries of eternity thou needest not tremble. ‘For I am persuaded, that neither death, nor life, nor angels, nor principalities, nor powers, nor things present, nor things to come, nor height, nor depth, nor any other creature, shall be able to separate us from the love of God, which is in Christ Jesus our Lord’ [Romans 8:38, 39]. Now, soul, is not thy love refreshed? Does not this make thee love Jesus? Doth not a flight through illimitable plains of the ether of love inflame thy heart and compel thee to delight thyself in the Lord thy God? Surely as we meditate on ‘the love of the Lord’, our hearts burn within us, and we long to love Him more. Beloved, in God’s providence, this was on the morning of February 4 in Spurgeon’s devotional, on Hosea 3:1, entitled “The love of the Lord.” That was last week, the week Debbie’s dear husband, Deacon Bruce Raglin, went into the hospital with what turned out to be a heart attack. She gave it to me to borrow while showing it to me in the hospital, marveling over God’s providential care. Not only was the text perfectly timed within our morning sermons through Exodus, but also for their family during their time of need to trust God had prepared them and would help them. And Jesus did help them; how grateful we are to already have had Bruce back with us for our Thursday night event! Just as we will see he is preparing Moses and the Church for the next step of their journey again, God provides in advance the help they will need. And He shows again He is ultimately their help. And when on thee I meditate in watches of the night. In shadow of thy wings I’ll joy; for thou mine help hast been. My soul thee follows hard; and me thy right hand doth sustain. I have something big to share with you today; but it is packaged in little things. First, the title of a new Thanksgiving sermon on SermonAudio caught my eye recently: “Proud People Don’t Say Thanks”. Either way you slice it, “Look at Me” or “Woe is Me” by way of omissive expression are of the ingrate and proud. I would submit also that proud people don’t say, “Please”. As recalling God’s holiness is the cause for thanks, and the cause for thanks is the cause of our holy living, this is a big revelation. For without holiness, no one shall see the Lord (Heb. 12:10, 14). … a holy life is made up of a multitude of small things … Little words, not eloquent speeches or sermons; little deeds, not miracles, nor battles, nor one great heroic act or mighty martyrdom, make up the true Christian life … The avoidance of little evils, little sins, little inconsistencies, little weaknesses, little follies, little indiscretions and imprudences, little foibles, little indulgences of self and of the flesh, little acts of indolence or indecision or slovenliness or cowardice, little equivocations or aberrations from high integrity, little touches of shabbiness and meanness, little bits of covetousness and penuriousness, little exhibitions of worldliness and gaiety, little indifferences to the feelings or wishes of others, little outbreaks of temper, crossness, selfishness, vanity–the avoidance of such little things as these goes far to make up at least the negative beauty of a holy life. And then attention to the little duties of the day and hour, in public transactions or private dealings or family arrangements; to little words, looks, and tones; little benevolences, forbearances, or tendernesses; little self-denials, self-restraints, and self-forgetfulnesses, little plans of quiet kindness and thoughtful consideration for others; to punctuality, method, and true aim in the ordering of each day–these are the active developments of a holy life, the rich and divine mosaics of which it is composed … It is of small things that a great life is made up; and he who will acknowledge no life as great save that which is built up of great things, will find little in Bible characters to admire or copy. Beloved, perhaps there are times when you might respond in your heart to preaching, teaching, or counseling with, “What’s the big deal? It’s just a little thing really, isn’t it?” As I read some of Bonar’s list above, I could easily (and wrongly) dismiss my little things most in need of improvement as minor, but I have not allowed myself to do so in meditation. Please realize first of all that if it is not a big thing, then you should have no problem letting go of it immediately. But more importantly, please remember that the little things add up to big things. Real repentance unto life is turning away from sin to God with an apprehension of His mercy in Christ Jesus and a purpose toward and an endeavor after new obedience (WSC 87). Will you repent of what is troubling you today? If not, I suggest your heart needs to again be quieted in the reality of God’s mercy in Christ Jesus: you likely need a simple faith in God’s forgiveness to experience it better. Believe, brethren. Be cleansed, brethren. And serve. When God has spoken, that settles the matter. No room is left for debating or reasoning. It is vain for us to discuss or dispute. Our duty is to submit. The Word itself must regulate our worship and service, as well as everything else. Human opinions, human traditions, custom, convenience, have nothing to do with it. Divine revelation is our only Court of Appeal. It is foolish to resist God’s grace, and proud to do so. We are not only proud when we insist on our own sinful living and try to justify it before God. We are also proud when we shirk His mercy and are determined to have disquieted hearts due to refusing to believe (refusing to submit). Take heed. Have a care. Pink also writes: As well might a worm seek to resist the tread of an elephant as for the creature to successfully defy the Almighty. God can grind to powder the hardest heart, and bring down to the dust the haughtiest spirit. How about we just trust and then obey the Gospel, beloved? There truly is no other way to be happy in Jesus. If you want a quiet heart, it’s that simple: faith. Lose yourself by basking in the thought of this Lord’s Day’s morning message: Our God is an Awesome God! Arrghhhh!!!!! That’s what came out of my mouth on a Monday morning recently, with my head in my hands. Somehow, I mistakenly deleted my morning sermon that I had put up on our SermonAudio page early so folks who were home-bound on the Lord’s Day could listen and stay with us through the series on Exodus. Monday morning, I read their gracious email pointing out that it turned out to be the message from the week before I had uploaded (which they were there for)! No problem, I’ll reload the correct one … wait a minute, the other one doesn’t … exist! Arrgggh! No, say it ain’t so! I had just edited and saved it yesterday! Apparently in the trash bin I had already emptied. When this kind of thing happens, I “re-preach” the sermon (or re-teach the Wednesday night Bible study) non-live and publish it. This was a particularly inconvenient week for me to do so, hence my “Argghhhh!” I had to rush to a business meeting for the Church up north that morning, with other pressing administrative things I’ve been trying to catch up on with my Monday’s for a month or so now on my mind. When I got back from the meeting several hours later, I sat down in a good mood ready to re-record, edit, publish, and then get about my busy work. Argghhhh! Noooo!!! I could not find my recording unit to do the recording! Why? It was in my bag, which I had left at the Starbucks a half an hour north where my meeting had been! Nooooo!!!! I drove back to get it and ended up recording the message in the back of my van, then publishing it from Starbucks while soothing my soul with a wonderful pumpkin spice latte (I went with the smallest size, per recent moderate/immoderate use of good things sermons — that’s a “Grande”, right? I can never remember). My day was shot. And my patience was tested! But that’s what I learned from the day. I had asked God that morning before the meeting to help me trust His sovereignty when I first learned of my foolish deletion of the sermon (Yes, that was after the “Arrrghhhs!”). Naturally, I felt silly about it. It’s not that big of deal. But the small stuff when you’re busy seems like feathers on camel’s backs, ay? My mind was quoting Romans 8:28, but my guts were saying, “What possible good is this for me right now! ?” Well, shortly thereafter, I believe God reminded me of His purpose. I just had to accept the situation and have more patience and trust God it would all work out, if not according to my timeline, certainly with His. And then it hit me, what good is this self-inflicted mishap? Well, certainly to teach me more humility, I know that. But I realized, if I could accept this disappointment and role with my punches upon myself, God would teach me more patience. He would give me more patience. That’s a pretty good deal, really, when you think about it. We often joke that we ask God to give us more patience, and to hurry it up. Well, that’s never how we get patience. We always get it more by having to be patient, by having to learn patience. There are no cliff notes or video versions for skimming through this book of virtues. Patience bears out patience, over time, plain and simple. And patience truly is a gift from God, so all things are working for my patience if nothing else, and that is always good. This I found to be a really helpful notion. Any time I’m stuck in traffic, stuck on a sermon, stuck on myself (did I just say that out loud?) — whatever has me challenged with accepting God’s providence even in the little things, I can stop and remember I am in the process of becoming more patient. There’s never a time where that can’t be the case, if I will learn to be a good student of Providence. Knowing I can grow in patience in a difficulty I will only understand later helps me have resolve and peace in the moment, and … more patience! And I like being more patient. And God wants that to be perfected in us all, all the time. Revelation 1:9 says we are companions in tribulation and the kingdom and … wait for it now … patience. Remember, we learned from a special video stemming from that Revelation study that patience is made up of two words in the Greek that basically mean to “remain under” or “bear under”. To remain under the pressure and keep on keeping on. We get better with that over time. And it is always a good thing God works in us as a result. As I write about this, I have never caught up from that Monday morning — which was nearly two weeks ago. In fact, you might have noticed I didn’t get out a weekly e-devotion last week, when I intended to write this message for you. Have I been perfectly patient? No. But God has been working a more perfect work of patience in me, and with this lesson on my mind, I’ve realized what an incredible gift this is. So even as I don’t feel like I have time to write this, patience has helped me to do so. And it ministers to me as I write; I hope it does to you (God always provides what needs to get done for today, even if we get a little tired in the process). So every time I am in a situation I don’t like and don’t understand, I can sit back, relax, and enjoy the growth — in patience. Oh yeah, that joy thing James speaks of with having to be patient in all things? When I had to go back and get my bag that day, I was laughing with Jennifer about it, saying, “Well, I thought I had learned the lesson for a nice e-devotion this week, but I guess God wants to give me more humorous anecdotes to share to drive home the point!” It was nice to be able to laugh it off in the abundant joy of Christ for those who are patient with Him. And I enjoyed being out of my study “caves” and in the San Diego sunshine and breezes for a change. Perhaps I will look less troll-like in a short while (not commenting on my height or hair, nothing I can do about that!). May you be more patient this week, beloved, and may you laugh more this week, beloved. Thanks for being patient with this long message (as you are with all my long messages both written and spoken!). Patience: use it before you lose it. Patience allows life time to fall into place. This Lord’s Day evening, we will further consider what is forbidden in the 6th Commandment, “Thou shalt not kill” (Exodus 20:13). We will focus on this clause of the answer for Westminster Larger Catechism 136: ” … the neglecting or withdrawing the lawful and necessary means of preservation of life”. Our featured Scripture will be Matthew 25:31-46, where Jesus talks about coming back to judge the world as He separates the sheep from the goats. The sheep go to heaven, the goats go to hell, and both destinations are related to their contrasted relationships with Him as evidenced in how they met the basic life needs of the least of His brethren (vs. 40). 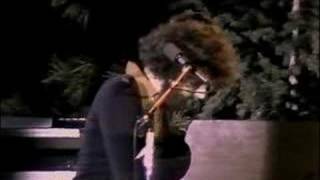 I was reminded of this dramatic interpretation of the text by the incredible Christian songwriter and pianist, Keith Green (now with the Lord). I encourage you to watch the linked YouTube clip. It’s powerful. Jesus said that as much as you do, or do not do, to the least of His people, so you do or do not do directly unto Him. Paul knew first hand the truth of killing Christians being synonymous with crucifying the Body of Christ (Acts 9:4-5). Jesus says in Matthew that neglect and withdrawal from taking care of His people is just as serious to Him. Beloved, what are you doing to Jesus right now? The answer is in how you treat His Church. This statement was in his message in the Gospel of John entitled, “The Cost of Discipleship”. Certainly, when we are unwilling to die to ourselves and follow His commands for living our lives (which He says is a basic requirement of being worthy to be called one of His disciples in Mathew 10:38 and Luke 14:26-27), we show we are not thankful enough to Him for dying for us on the cross so that we could have eternal life. We show we are not thankful for His sacrifice (and that of His other disciples on our behalf) by not crucifying ingratitude in our hearts. Such ingratitude manifests itself in some terrible lifestyles of which the Apostle Paul says those whose lives can be described by them will not inherit the Kingdom of Christ and of God (Eph. 5:5). What if We Began to Treat Our Bibles the Way We Treat Our Cell Phones? … carried it with us everywhere? … turned back to get it if we forgot it? … checked it for messages throughout the day? … used it in case of an emergency? … spent an hour or more using it each day?